Introducing The Call To Action Widget. Now you can create interactive boxes that upgrade your website from average to exceptional in minutes. 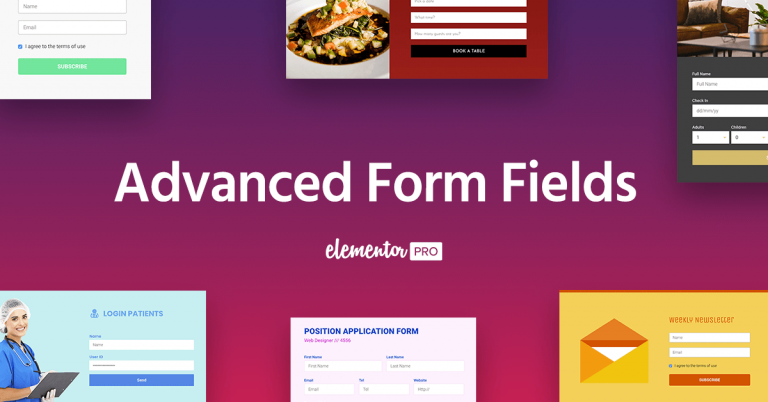 Today, we are introducing several features to the Elementor Form Builder, including 8 new form features: File upload, acceptance checkbox, date & time pickers, multi-selector, HTML fields, password field, number & phone validations. 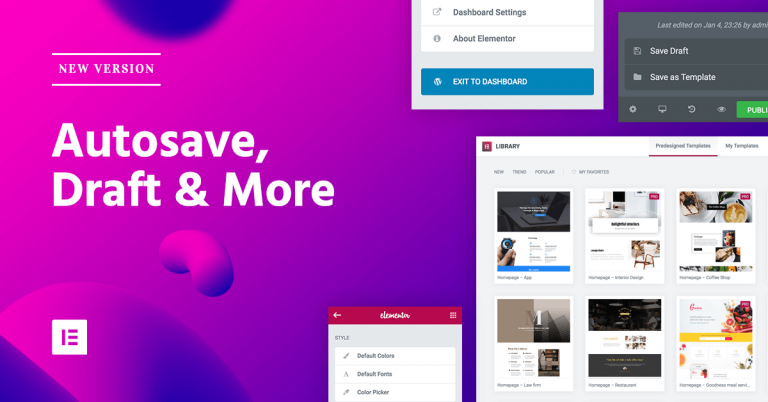 Introducing Elementor v1.9: Autosave, Draft, New Library & Other UI Improvements. Learn how to take advantage of the new interface and get more done. Now you can integrate Elementor with just about anything that you’re already using. 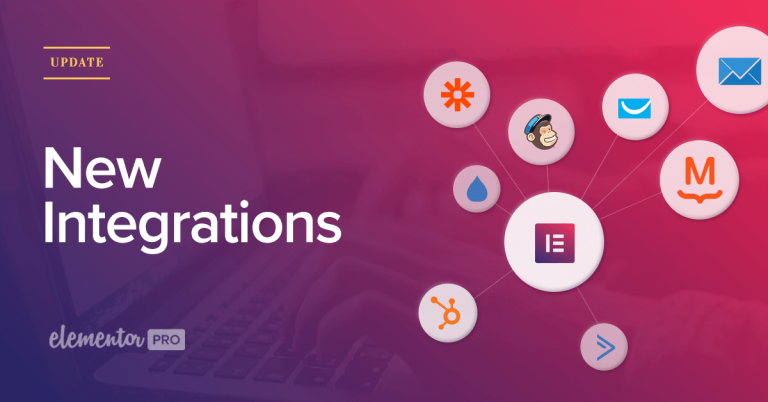 Easily integrate your forms with ConvertKit, ActiveCampaign, Drip, GetResponse, HubSpot, MailPoet 3, MailChimp & Zapier. Create stylish blog posts with our new Single Post Widgets: Author Box, WordPress Comments, Yoast Breadcrumbs & Post Navigation. 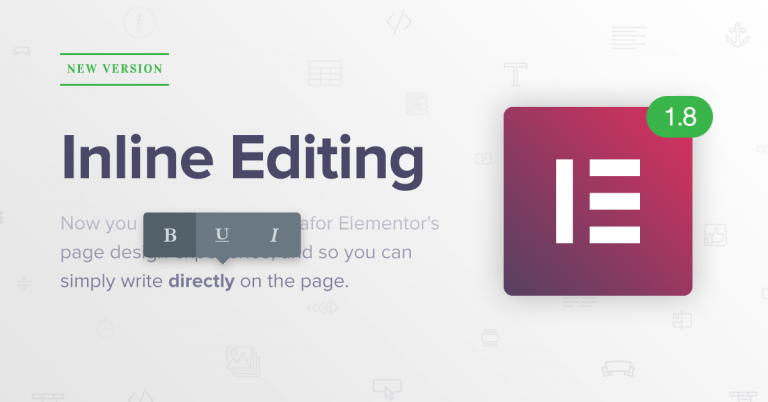 With Elementor version 1.8, we’ve completely changed the way you write in Elementor. From now on, writing is done visually and directly on-screen. 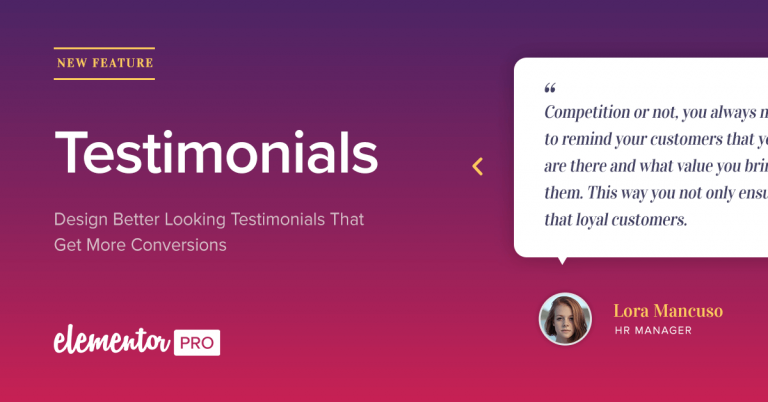 With Elementor’s new Testimonial Carousel widget, you can make sure your customer testimonials are presented in the most aesthetic and well-designed way. Introducing the Media Carousel widget. 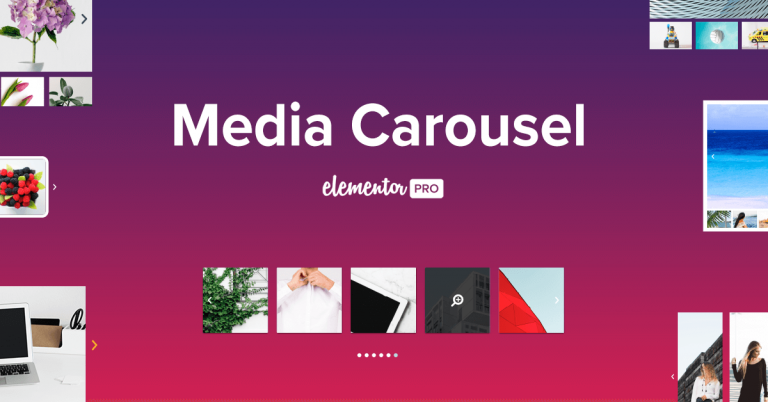 Create carousels and sliders that beautifully showcase your images and videos. 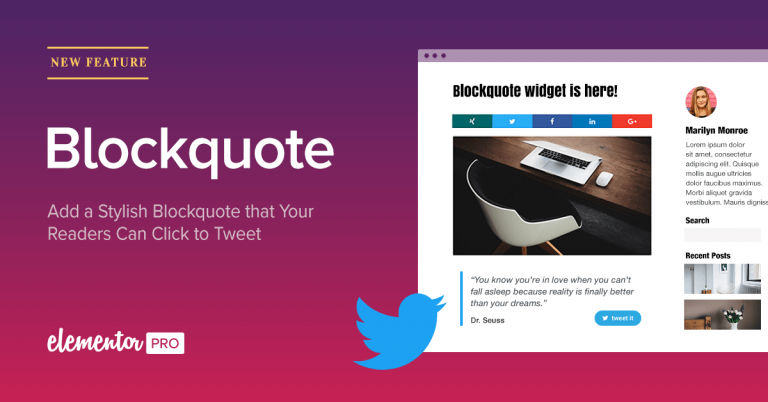 With the Blockquote widget you can get your readers to click to tweet and share your best lines from your blog on Twitter. Introducing the most expected feature of the year: the Menu Widget! 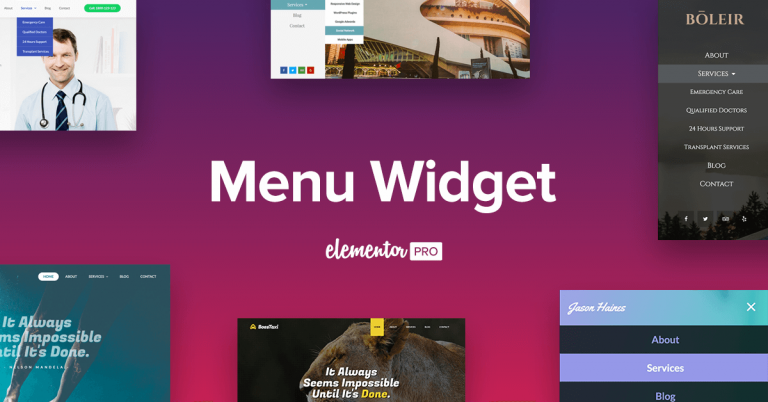 Read on to find out how to design gorgeous menus on any theme and for every device. 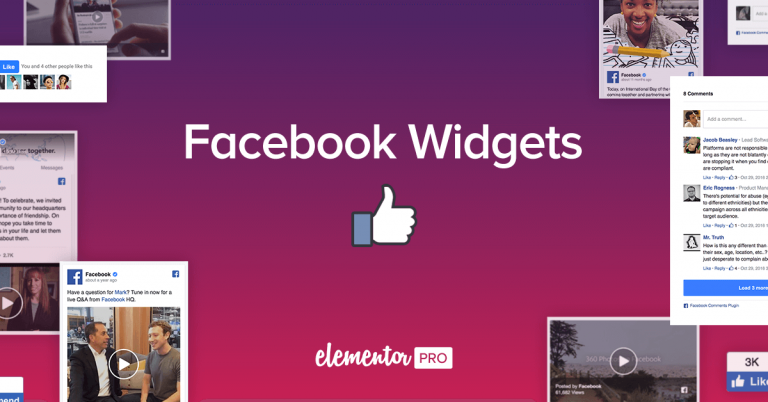 We’ve launched a powerful new set of Elementor integrations: Facebook Widgets. These widgets allow you to get more shares, likes & interactions on social media.